SHOW THIS FIRST! 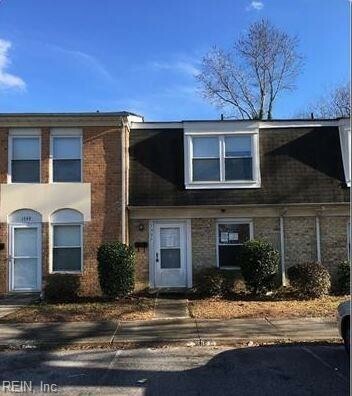 CONVENIENTLY LOCATED CONDO STYLE TOWNHOUSE LOCATED IN PORTSMOUTH! LARGE OPEN BEDROOMS WITH HUGE LIVING SPACE AND NICE EAT IN KITCHEN. WONDERFULL PROPERTY WITH TONS OF POTENTIAL! GREAT FOR AN INVESTMENT OR YOUR FIRST TIME HOME BUYER. PROPERTY IS CLOSE TO SCHOOLS, SHOPPING, BASES, AND MORE! CALL TODAY FOR A PRIVATE SHOWING, WE LOOK FORWARD TO IT! Ready to visit 1537 DARREN? Request a free property tour! Send me more information about the listing at 1537 DARREN, Portsmouth, VA 23701, MLS# 10240086. This 3 bedroom, 2 bathroom home located at 1537 DARREN, Portsmouth, VA 23701 has approximately 1,202 square feet. It is currently listed for $48,000 and has a price per sqft of $3,993. This home is currently Sold under the MLS#: 10240086. This listing is provided by Better Homes&Gardens R.E. Native American Grp. 1537 DARREN Circle, Portsmouth was built in 1977. It has Assigned/Reserved parking.The kitchen includes Dishwasher, Dryer Hookup, Elec Range, Washer Hookup. 1537 DARREN is part of the Cavalier Manor neighborhood located in 23701.